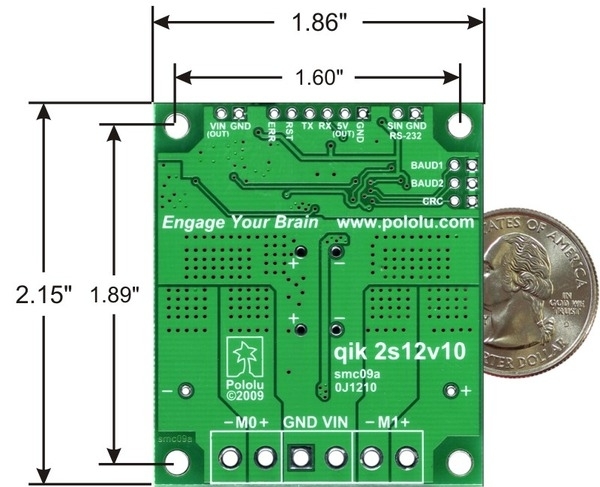 For a lower-power version of this controller, please consider the qik 2s9v1. 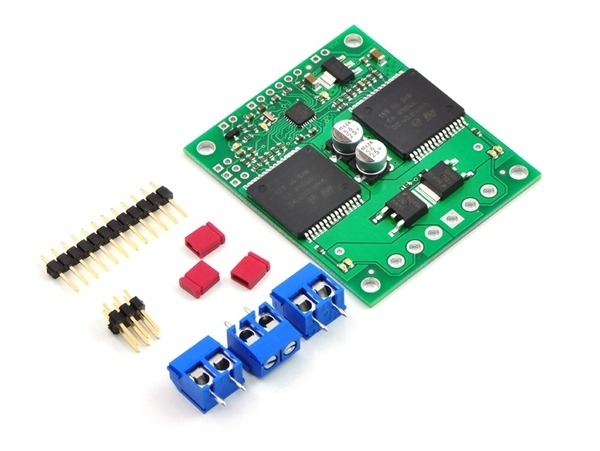 For similar devices that support additional features and control interfaces, please consider the Simple High-Power Motor Controllers, TReX motor controller, and jrk 12v12 motor controller with feedback. 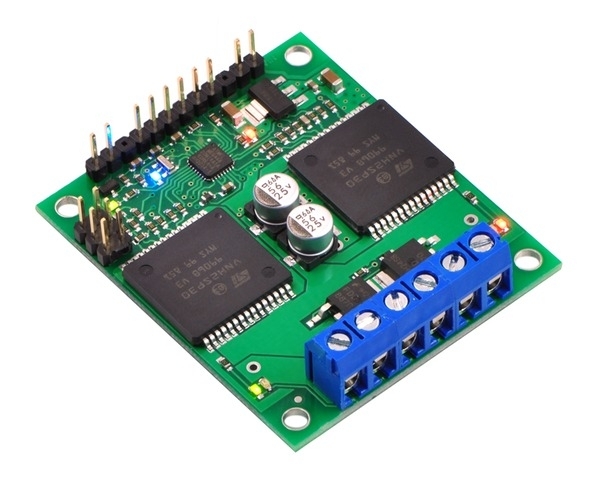 For a robot controller based on the qik’s drivers, please consider the Orangutan X2 robot controller, which connects the VNH2SP30s to a user-programmable ATmega1284 AVR microcontroller. 2.Autodetects baud rates between 1200 and 115,200 bps, or can be set for a fixed baud at 115.2, 38.4, or 9.6 kbps baud rate. 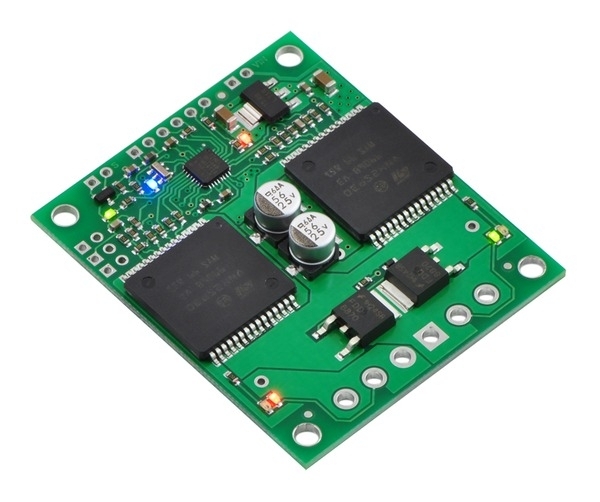 3.Can also be configured to use 9.8 kHz, 2.5 kHz, 1.2 kHz, 310 Hz, or 150 Hz PWM frequencies.